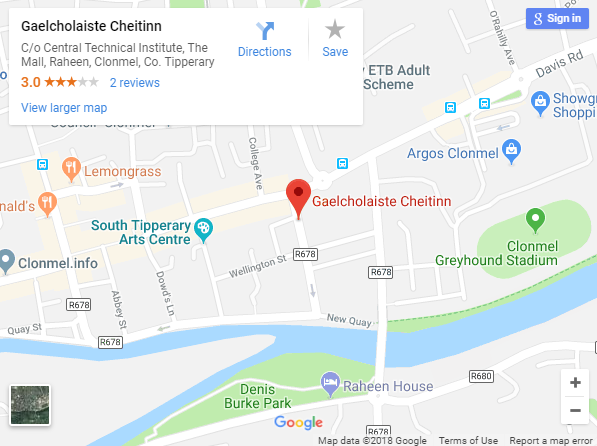 I nGaelcholáiste Chéitinn is duine linn gach dalta. Déanaimid freastal ar riachtanais phearsanta, shóisialta, oideachasúla agus spioradálta dó páiste leis an gclár tréad- chúram. cuirimid romhainn aithne phearsanta a chur ar gach dalta mar dhuine. Tá aithne ag na scoláirí ar na múinteoirí agus tá muinín acu astu. Tá a fhios acu go mbeidh gach tacaíocht agus cabhair ar fáil dóibh in uair na práinne. Tá múinteoir ranga ag gach dalta le dul i gcomhairle leis / léi más gá, agus bíonn doras na fáilte ar leathadh i gcónaí do thuismitheoirí. Tá Comhairleoir Treorach againn agus foireann oilte tacaíochta. In Gaelcholáiste Chéitinn each student is an individual. We look after your child’s personal, social, educational and spiritual needs through our pastoral care programme. The philosophy of our school is get to know each student on an individual basis. Because our smaller class groups facilitate this, we are in a position to really get to know our stu- dents. Students know and trust the teaching staff and know that they are guaranteed every support and assistance if they experience any personal difficulties. Students have a class teacher to confide in when necessary and we have an open door policy for parents. The school has a very effective Pastoral Care Team which includes trained support staff. Tá córas Meantóireachta Cúnta I bhfeidhm ina dtugann scoláirí na hIdirbhliana meantóireacht agus cúnamh pearsanta do scoláirí na Chéad Bhliana. Tá sé seo an-éifeachtach ag cabhrú leo socrú isteach. 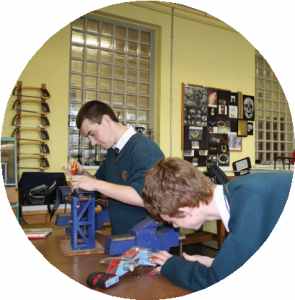 A Buddy system operates where the Transition Year Students provide mentoring and personal support to the First Year Students. This has proved very effective in helping new students to settle in. Tá fail ar gach dalta ar sheirbhís chuimsitheach comhairleorachta agus treorach I nGaelcholáiste Chéitinn ón gCéad go dtí an séú Bliain. Oibríonn an comhairleoir agus na tuistimitheoirí as lám a chéile I gcónaí ar mhaith le leas an dalta. moral and spiritual development of our students. The Guidance Counsellor works with parents in the best interests of the student. Déantar na daltaí a thástáil ar chlárú sa scoil dóibh. Cuirtear tacaíocht ar fáil do dhaltaí le deacrachtaí foghlama. Bíonn dlúthchaidreamh againn le bunscoileanna chun gach eolas cuí a fháil d’fhonn an t-aistriú a dhéanamh chomh fuirist agus is féidir. Students are assessed on enrolment. Support in literacy and numeracy is provided to students with learning difficulties. There is close liaison with primary schools to gather all relevant educational data to make sure that there is a continuity of learning support in our school for those who need it. 16.5 footballers through to Munster Semi Final.. The Mall, Clonmel, Co. Tipperary.